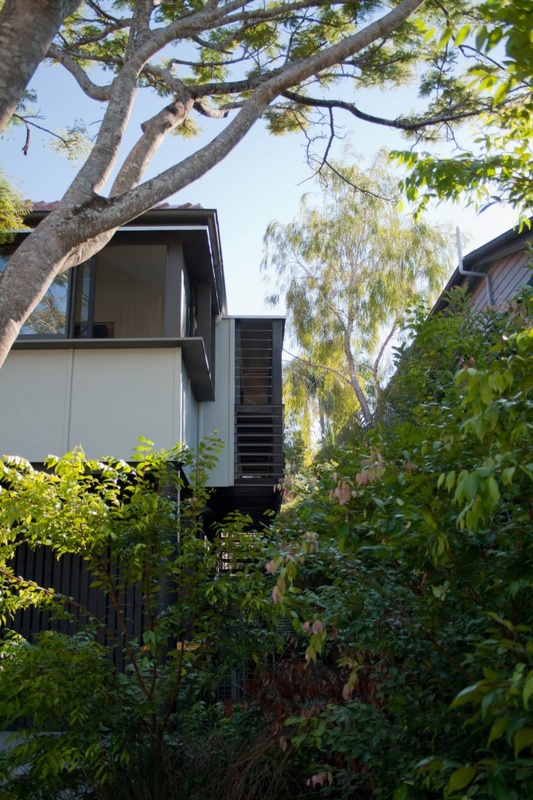 This extension and renovation dramatically connects the existing kitchen and living areas to the north facing rear yard. 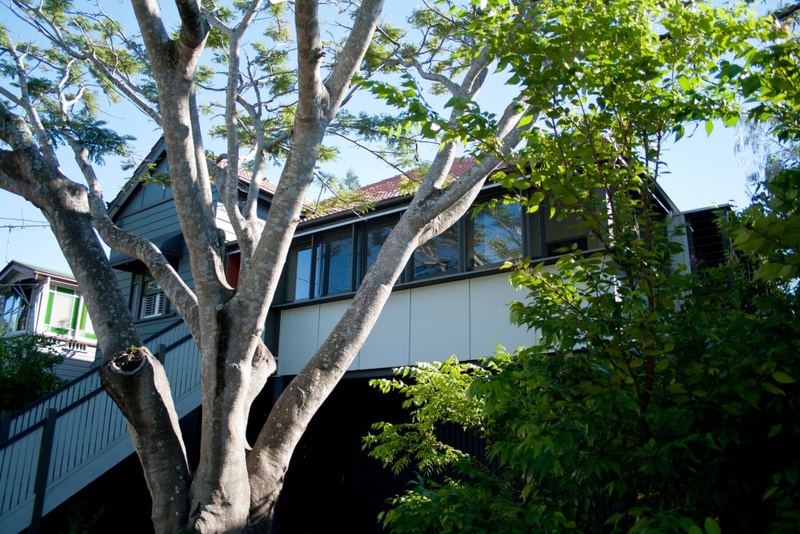 The yard was raised and levelled so as to have a more immediate relationship with the new roofed deck and to visually extend the space of the house right to the rear boundary. 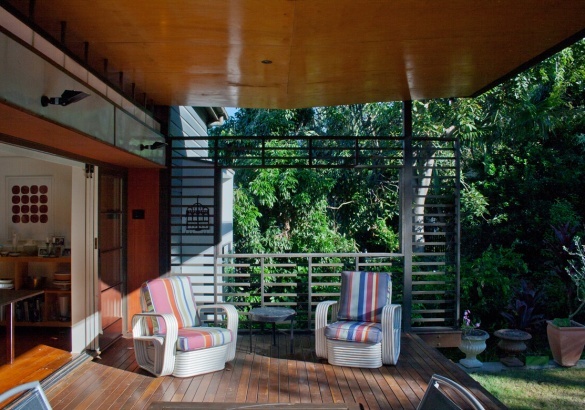 The deck becomes a stage perched on the edge of the garden with a presence and warmth more akin to a small building then simply the typical flimsy deck ‘wacked on the back’. 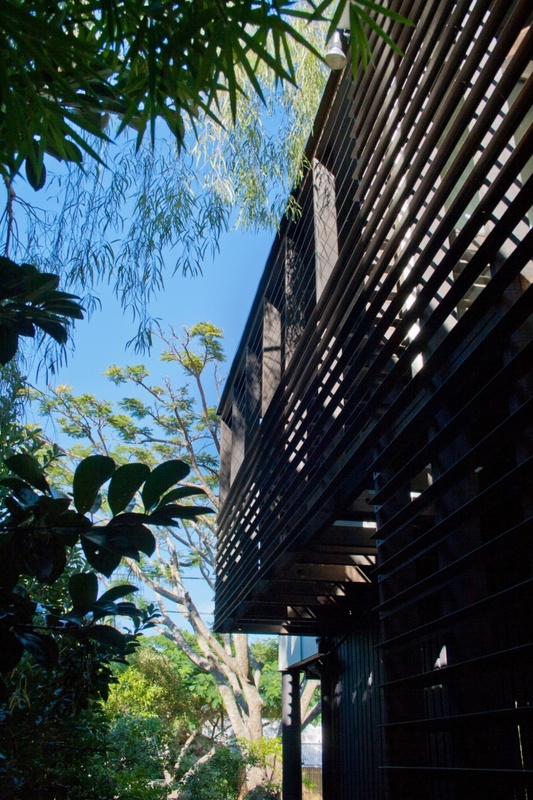 Running down the side of the house is an extensive screen constructed of timber posts and aluminium angles. 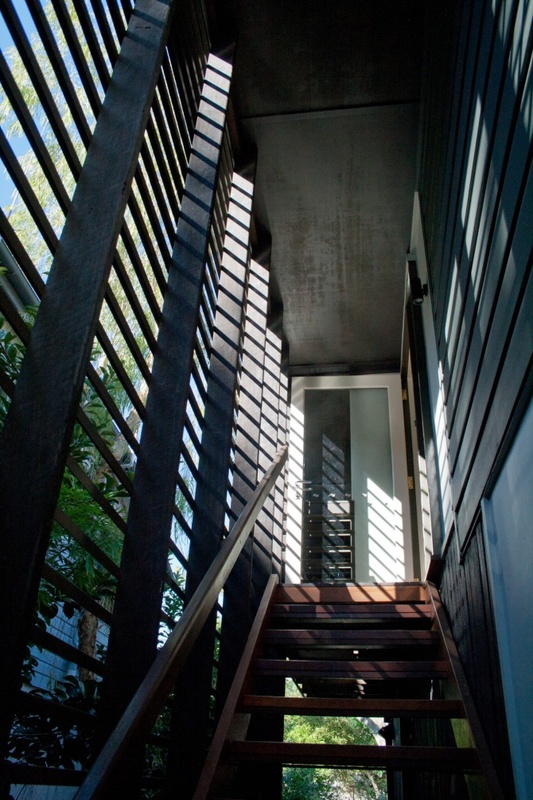 This screen does the job of securing the external stair linking the upper and lower levels. 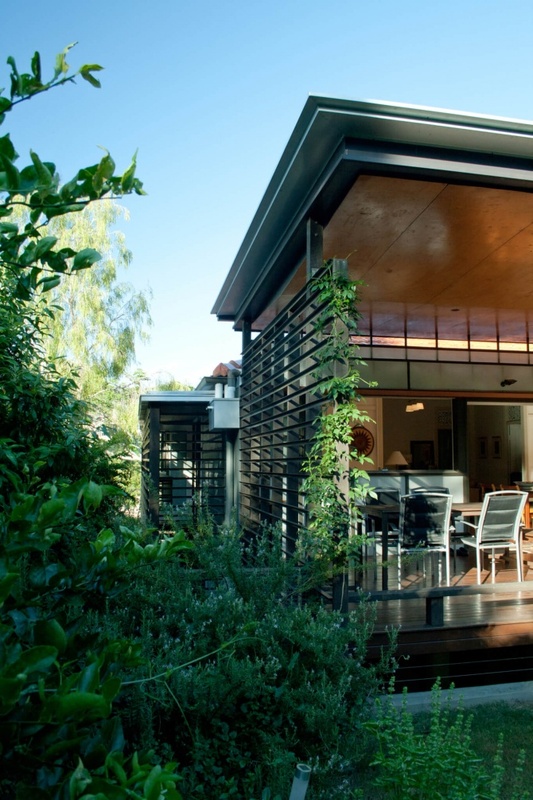 It also creates a security screen and planter box to the large windows of the new study in the built-in verandah. At the thresholds of both the front and deck doors plywood portals stained red enrich these moments of connection between the interior and exterior. 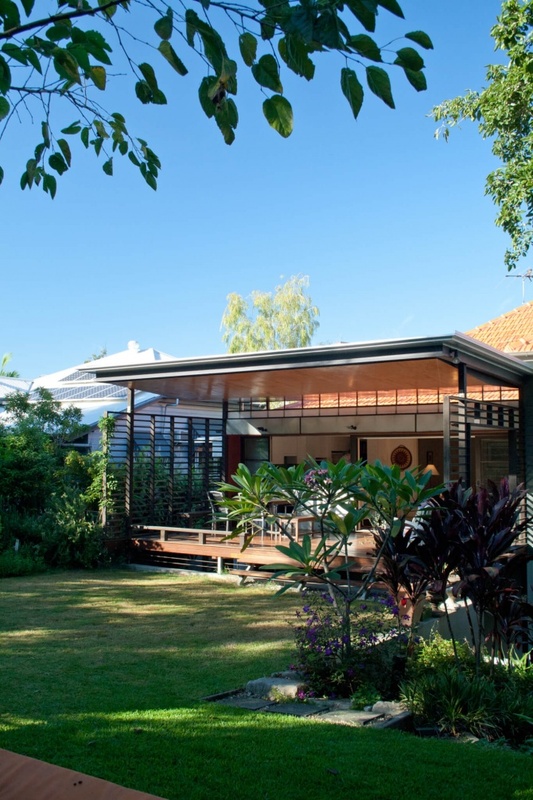 The combination of all these elements and the colour palette used create a rich contemporary subtropical architecture that complements the original Queenslander. 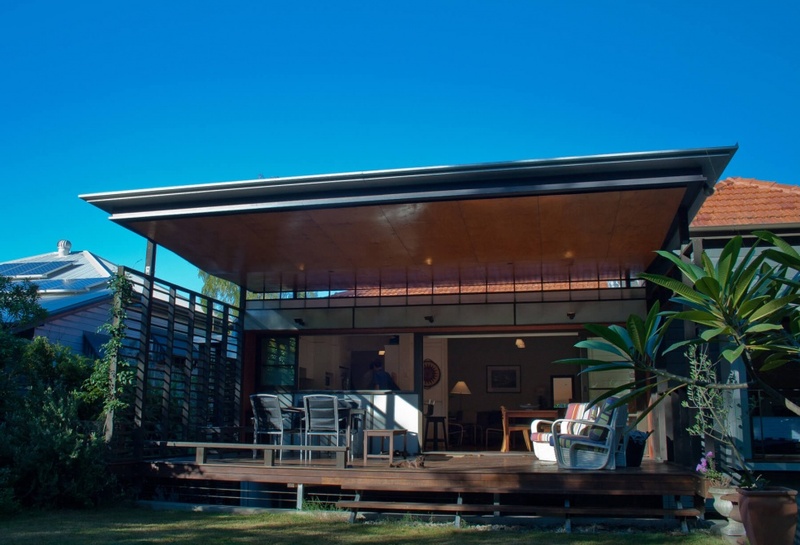 – maximisation of passive ventilation through high level windows, batten screens and large openings.